The band is heading back into the studio to work on some new tracks! 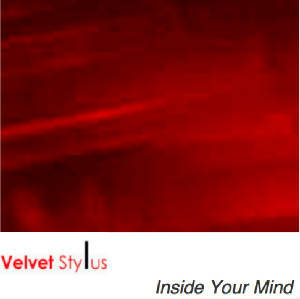 If you buy their single "Inside Your Mind" now, http://www.cdbaby.com/cd/velvetstylus AND you let them know that you did by emailing velvetstylus@hotmail.com, the group will send you a special free audio gift this winter! Velvet Stylus is a live R&B group with music that hits for anyone who loves sophisticated Soul! Would you automatically like to receive new music from us? Would you like to join our media mailing list? Would you like to interview Velvet Stylus? RADIO, INTERNET RADIO, and PODCAST HOSTS: Would you like Velvet Stylus to send you a customized drop? Please fill out form below! Please allow 2 weeks for delivery. Are you interested in setting up a call-in interview with Velvet Stylus? SEE US backing MCs for the Jam Master Jay Foundation Tribute! JOIN US on our NING community! You may PURCHASE IT HERE! Our dear friend ARMSTED CHRISTIAN is having a Fundraiser ongoing, for the auto-immune disease Sarcoidosis. SHOW YOUR SUPPORT! CLICK HERE for details on this amazing effort for this amazing person! © 2004 Darcie-Nicole Wicknick for Velvet Stylus. Unauthorized use of Velvet Stylus name or content strictly prohibited.